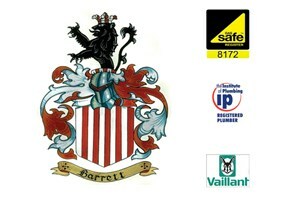 Roy Barrett & Sons Limited - Central Heating Engineer, Plumber based in Oxford, Oxfordshire. Are you looking for central heating & plumbing services in Oxford? Try Roy Barrett & Sons Ltd for quality workmanship built on recommendation. If you think it was about time your boiler was serviced or your radiators power flushed, you are in the right place. Serving the domestic market of Oxford, Roy Barrett & Sons Ltd is a professional, family run plumbing & heating company with a wealth of experience in what we do. Specialising in Vaillant boiler installs, you can be assured of a high quality job using only the best products around. We guarantee all of workmanship for 2 years, with free consultations offered as standard to better understand your needs. So for more information, please take a look at our plumbing & heating page today.